Pep Hamilton resigned at Michigan on Monday to pursue other opportunities. Hamilton is expected to become coach and General Manager of the XFL’s Washington, D.C., franchise, Bruce Feldman of FOX Sports reports. He has spent 11 seasons coaching in the NFL, most recently with the Browns in 2016. He was the assistant head coach and quarterbacks coach for one season in Cleveland. Hamilton also has coached for the Jets, 49ers, Bears and Colts. It's funny how these coach hirings seem to be leaked in advance. As I mentioned on the main board. 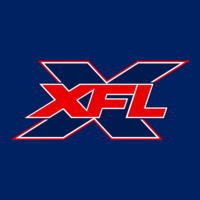 Pep Hamilton has a lot of connections to The XFL and DC. I feel like a fool for missing this one. I didn't think he was going to leave Michigan because he was being paid a hefty salary. Pep Hamilton coached XFL Director of Football Operations Sam Schwartzstein at Stanford. He was David Shaw and Jim Harbaugh's right hand man. He coached Oliver's son Andrew at Stanford and with The Colts. Pep was the offensive coordinator. Anytime, you get a coach that is an offensive guy, with experience in college and the pros. That's a good thing for an upstart league. It helps that Hamilton went to school and started his coaching career at DC, at Howard University. I think DC is one of the less popular teams so to get a coach who has name recognition is good for the franchise. When do they announce him? Next week you think? Monday or Tuesday seems right. In Pep Hamilton’s case. I think the press conference is important. Bob Stoops didn’t really need to sell himself. Hamilton on the other hand, can get some good PR rolling, by having a good introduction in that market. His ties to the DC area are a good selling point. His ties to Howard are nice enough, but that's not going to move the needle in DC. People barely care about the bad Big 10 program in town, let alone the bad FCS ones. With only 20K in seats at Audi, I actually think DC has the easiest job to do, so it's a good place to put an unknown. I was pulling for Paul Johnson, which I knew was a pipe dream, but I think the key was to steer clear of anyone with ties to the Redskins (like Haslett). Audi should be looking great on TV. Might have New York @ DC for the opener on Fox so that it will give people a good impression of the league out of the gate and people will come back for the Sunday ABC game.